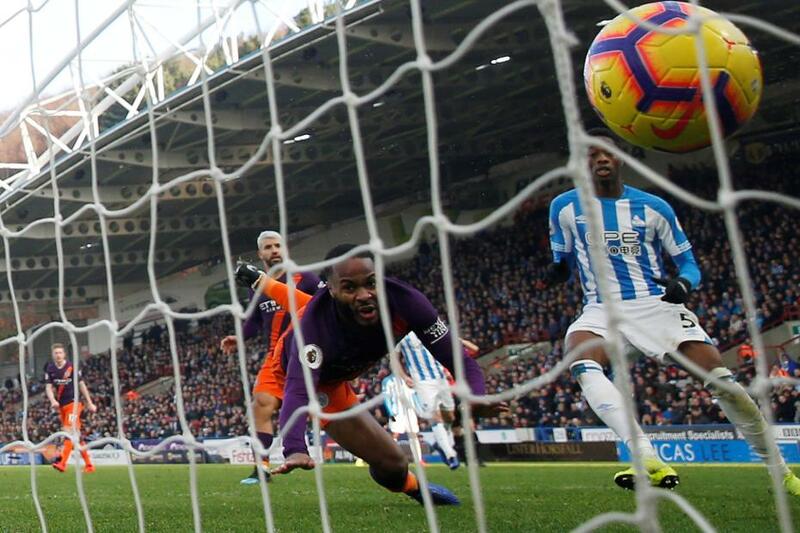 Manchester City kept up the pressure on Premier League leaders Liverpool with a 3-0 victory over Huddersfield Town. Danilo's deflected strike from outside the penalty area, the left-back's first goal of the season, gave City a first-half lead. Pep Guardiola's men stepped it up after the break, as Leroy Sane's fizzing cross was met with a diving header by Raheem Sterling on 54 minutes to make it 2-0. Two minutes later it was 3-0. Sane turned from provider to scorer, calmly passing into the net after a clever cushioned header by Sergio Aguero. Steve Mounie three times threatened to score for the home side, the best chance being right at the end when he shot wide. Huddersfield Town stay bottom on 11 points. City can close the gap to the leaders to one point when they travel to Newcastle United in nine days.